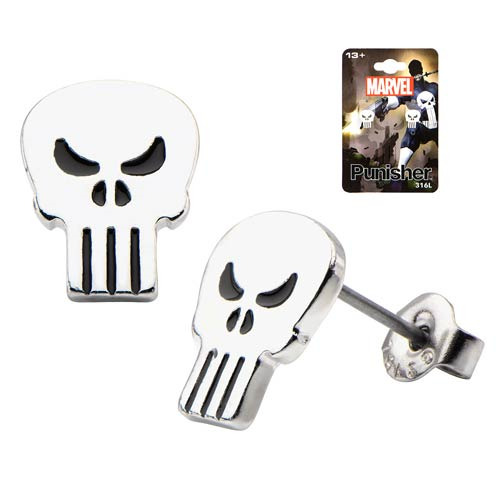 Show your love for the Punisher by wearing the Punisher Skull Stainless Steel Stud Earrings wherever you go. These beautiful earrings are made of stainless steel and will look great with your favorite Marvel ensemble. Ages 13 and up.